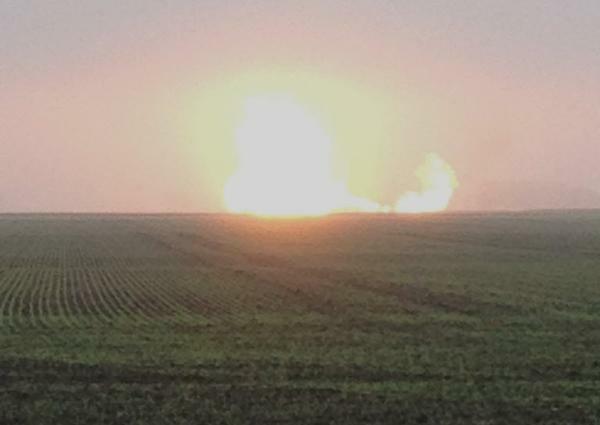 WARREN, Minn. — A natural gas pipeline ruptured and exploded, sending flames shooting high into the sky in far northwestern Minnesota on Monday, authorities said. The Marshall County sheriff’s office received a call about a large fire about three miles northwest of Warren just before 6:30 a.m.
“The flames were over 100 feet in the air so it was really something out there,” said Jim Duckstad, the county’s 911 coordinator. People who called in said it sounded like a jet engine. Nobody was injured, but six or seven families living within two miles of the site were evacuated, he said. The gas line was shut down and the fire extinguished itself around 8:30 a.m., he said. Natural gas to the cities of Warren and Argyle may remain shut off for a couple days, he said. The pipeline is owned by Viking Gas Transmission Company, which sent crews to the scene. While the cause remained under investigation, Duckstad said authorities suspect natural causes. There’s still frost in the ground and the soil is wet, he said. The site is about 28 miles northwest of Grand Forks, North Dakota. 5 See, e.g., In the Matter of CenterPoint Energy’s Petition for Approval of a Miscellaneous Tariff Change, Docket No. G-008/M-13-333, Order Permitting Withdrawal of Filing (Nov. 13, 2013) (articulating standard). The articulation of the standard? The Commission finds that the proposed withdrawal does not contravene the public interest, does not prejudice any party, and does not raise issues requiring Commission action. The Commission will therefore permit withdrawal. That’s it — no discussion in the order, just this statement! 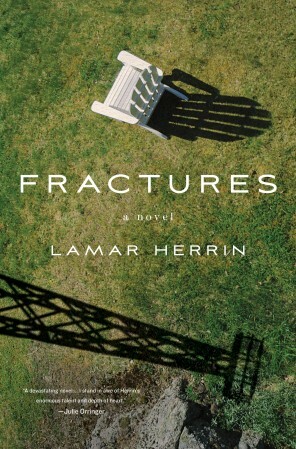 A fracking good novel for an “on deck” read! It’s a beautiful day today, just had a meeting all afternoon in the park in Zumbrota, and it’s a perfect day to sit on the deck in the SUN (what a concept!) and read! For those of us “in the middle” dealing with frac sand mining and the Bakken BOOM trains, this book is a must read, dealing with the big picture and the more mundane, how one family copes and doesn’t cope when fracking comes to their community and their land. This book is a welcome sidebar to our day to day activism. It’s at the Red Wing library, in the SELCO system, and you can find it at abebooks.com. 100 mile garage sale along the Mississippi! Again today, the 100 mile garage sale, up and down both sides of Lake Pepin! The sun peeped out a few minutes ago, so maybe it’ll be coming back. Little Sadie, HSGC alum, says “See you along the Mississippi!” — at 100 Mile Garage Sale/Fundraiser.